If you dont see what you are looking for in the listing below, please give us a call, well look through our inventory for what you need, if we cant find what you are lookig for we are happy to cut to your specifications. Live Edged Slabs- We stock a large selection of live edged slabs in species, and sizes. With widths up to 60, lengths up to 20, and thicknesses up to 5 thick. We can find the special piece for your project. 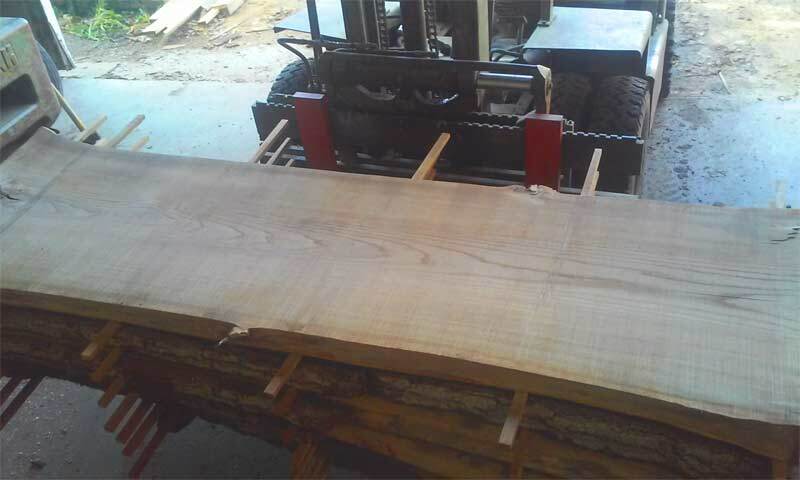 Turning Blanks- We stock turning blanks in some of the favorite species for turners. Some of the species we keep on hand are Cherry, Walnut, Maple, Spalted Maple, Box Elder, and Hard Maple to name a few. Carving Stock- We started carrying carving stock for our customers about two years ago, since then we have been surprised at how much people love to carve. We keep some of the favorite carving woods available such as, Butternut, Basswood, Buckeye, and Box Elder. In thicknesses up to 6 thick for some of the larger carvings. Mantels- Special cut mantles are available for your needs, in many sizes and species. Timber Frame Beams- We have the capabilities to cut whole barns and homes full of beams in a wide range of sizes.